Reassure America Health Insurance merged into Valley Forge Life Insurance Company in 2007. Valley Forge Life Insurance Company is under the insurance company umbrella of CNA and Continental Assurance Company, which was originally established in 1911. Although the company offers many types of insurance, CNA does not underwrite health insurance. The closest product available to health insurance is workman’s compensation coverage. CNA agents can be found by choosing the state you reside or your zip code through the toolbox on the website. Once the information is loaded on the page, interested policyholders can find the address, phone number, fax, and website of the different agents from which you may choose. CNA offers Workman’s Compensation policies for businesses to help cover the loss when an employee becomes injured on the job. Policyholders can view covered providers on the website as well as approved facilities. CNA provides resources to the companies it insures by offering advice for preventing injuries, reporting an injury, returning to work, and alternative work assignments when an employee cannot return to its previous job. CNA offers education for employees and employers to learn how to prevent risk. These seminars are available by internet, in person by a CNA representative, or by web based teaching. CNA allows policyholders to report a claim on their website. Policyholders choose which type of claim they need to report depending on their policy coverage. After this is selected, policyholders can begin the claims process. Policyholders also have the ability to phone in a loss by calling (877) CNA-ASAP or (877) 262-2727. 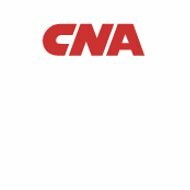 CNA advertises its job openings on the CNA website. Perspective employees can search jobs by title, location, or career field. You can also create an account through the website to log in periodically, update information, and submit your resume. Immediate need positions are highlighted with a red exclamation point. CNA also offers programs for interested college students. The company provides internships and trainee programs to prepare students before graduation and provide potential job opportunities. CNA believes in a rotating program, which helps college students after graduation by placing them in different positions within their field. This provides the opportunity for them to decide on exactly what job is the best fit for both the graduate and the company. CNA recommends any policy or product information to be referred to your local agent. If you do not have an agent, find one close to you with the agent locator tool. However, if you should have a general question, you can contact customer service at (312) 822-5000 or by sending an email. Group and individual disability questions should be referred to (800) 303-9744 or (800) 262-1783. Peter E. Jokiel is listed as the senior vice-president and a key executive of the company. All CNA forms can be downloaded on the company’s website. You have the option of choosing a form alphabetically or by viewing all available forms to download. An explanation of each form is also available on the website. The Better Business Bureau does not accredit CNA, because the company has never applied for accreditation. However, the Better Business Bureau still rates non-accredited companies. The Better Business Bureau rates CNA as an A+ company because of the efforts it puts forth to satisfy its customers. CNA has 23 complaints on file with the Better Business Bureau within the last three years. Four of these complaints were resolved within the last year. Twelve of the complaints were due to the product or service of the company. Nine were because of billing or collection issues. Two customers had a problem with the advertising of the company. Three of the complaints CNA tried its best to resolve with the help of the Better Business Bureau, but the customers were still not satisfied. The remaining twenty issues were all resolved with the help of the Better Business Bureau and to the customer’s satisfaction. If you would like to read the complaint details, please visit the Better Business Bureau. A.M. Best rates CNA A-. CNA offers different plans and coverage to small, medium, and large businesses. The plans all vary depending on the type of industry. You can view the different industries CNA targets by visiting the website.